The holidays always reminds me that it’s okay to dream a little. 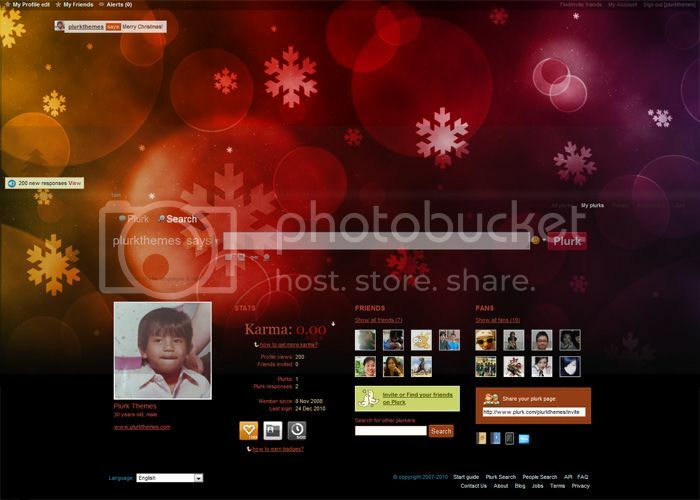 I dreamed up this theme as a token of appreciation to my fellow Plurkers who drop by to say “hi” or “thank you” or by simply using my themes. Holiday Dreamscape is me saying “hi” back and “you’re welcome”. It is my sincerest hope that you enjoy this one. wow. how to make this my profile theme ? I don’t know how. It makes me feel calm.